I’ll bet that if I asked publicly how many people saw 11:11 regularly, we’d probably see a huge sea of hands popping up all over the place. Its pretty common nowadays, there’s something to it, and its about time we decoded it. In case you answered that you’ve never seen 11:11, I would remind you that you’re reading a blog about it right now. Welcome to the beginning of your 11:11 synchronistic voyage. There was a time only a few years ago when I hadn’t heard a thing about 11:11. It was brand new to me, until it wasn’t anymore. 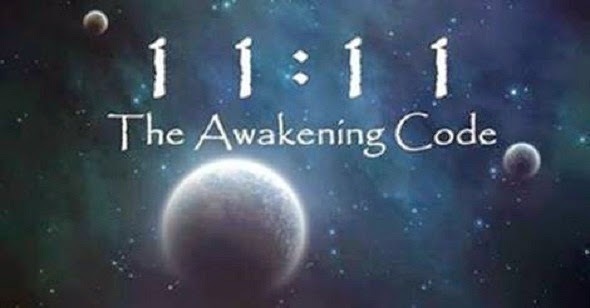 Interestingly enough, my 1111 synchronicities started right around the time when I began learning about a planetary shift of consciousness… The Shift. I started seeing 11:11 everywhere. Not just on clocks, but license plates, billboards, phone numbers, random pieces of paper I would come across or on websites on the interweb while I floated about in the digital realm… What was the deal? 11:11 is a wakeup call of sorts, an initiation into the “aha” of realization that something big was going on. Something that connected everyone. In truth, the numbers are only a representation of what’s really going on. A symbol for the connection taking place all over the world. The numbers aren’t significant, but their meaning. When you observe 11:11, you notice some interesting things. The first thing that I see is that it is a balanced equation. Not only is it two elevens, but two elevens with a : in between. Two sides of a balanced equation, that equal out at zero. They have a stable equilibrium were they a mathematical equation. They also come down to 4. I feel it like a 4 elements equation, a perfect balancing of a yin and yang energy. If you know anything about Tarot, you might think of the 4 leaders. Prince, Princess, Queen, and King/Knight. As it relates to each individual, its about bringing back your body, emotions, mind and spirit back into a total alignment and connection with each other. It is in that connection to yourself that opens up your awareness and ability to connect to the world at large around you, and respond appropriately to the variety of challenges that comes along with being human. 11:11 not only has that representation of 4, but obviously has a strong connection to 1. All things are One, and when I see 11:11 it feels like a reminder about the union and unity of all things, even though they appear to be seperate in this physical reality. Now, the magic about 11:11 is not just that it’s happening to you, but it’s happening everywhere. 11:11 is a global event, it is something that people all over the world, including you right now (because you’re reading this) is experiencing. Think about it…. when you see 11:11, do you ever think about what’s happening around you right now? What it means? What it relates to? Whether you actually put conscious thought into it or just notice it and change your focus again, you are downloading information and connection with everyone else who is recognizing it as well. What I reccomend is to use it as a trigger to take account of everything happening around you. 11:11 is often a sign for you to notice, do, or feel something… If you pay attention to those signs, you can kickstart your growth in a very fast way! And so it goes. Not only are you as an individual evolving at warp speed, the entire planet is doing the same. You are not alone. We are all growing and learning different things, and in truth we’re really all learning hte same thing. How to love. What is love, what does love look like, and what it means to embody Christ.